The Rocktile Bass from the Pro Series with Linden body in natural finish not only looks beautiful, but has a lot to offer in terms of sound diversity. 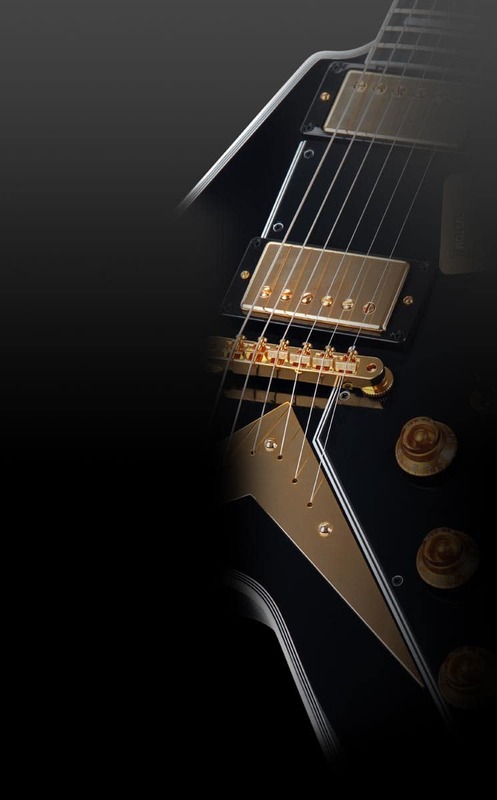 The two separate volume controls will allow the two humbucking pickups to be separately mixed and thus cover different sound variations. 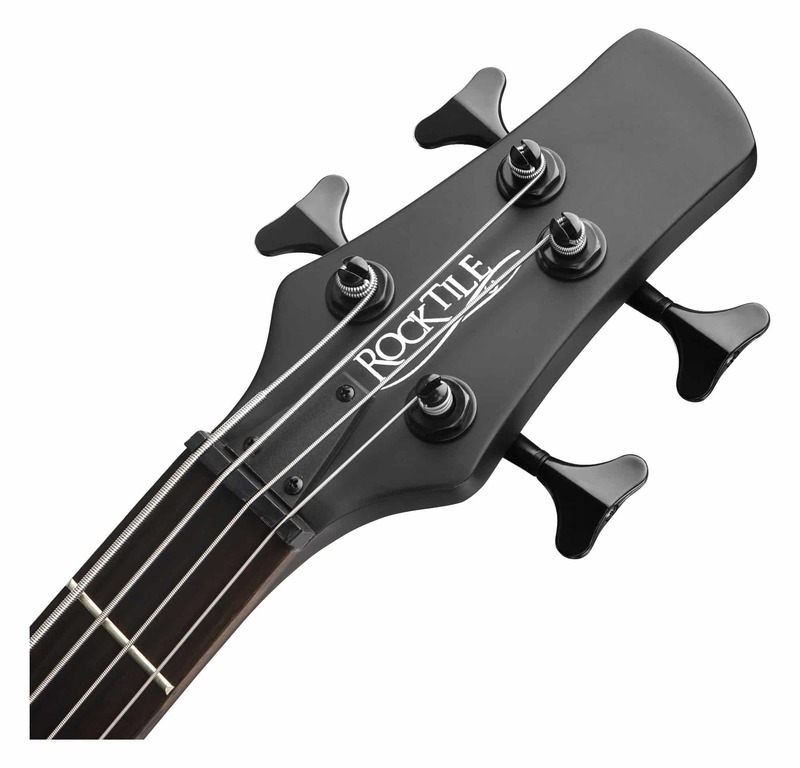 With the two tone knobs, versatile variations of the sound can be achieved. 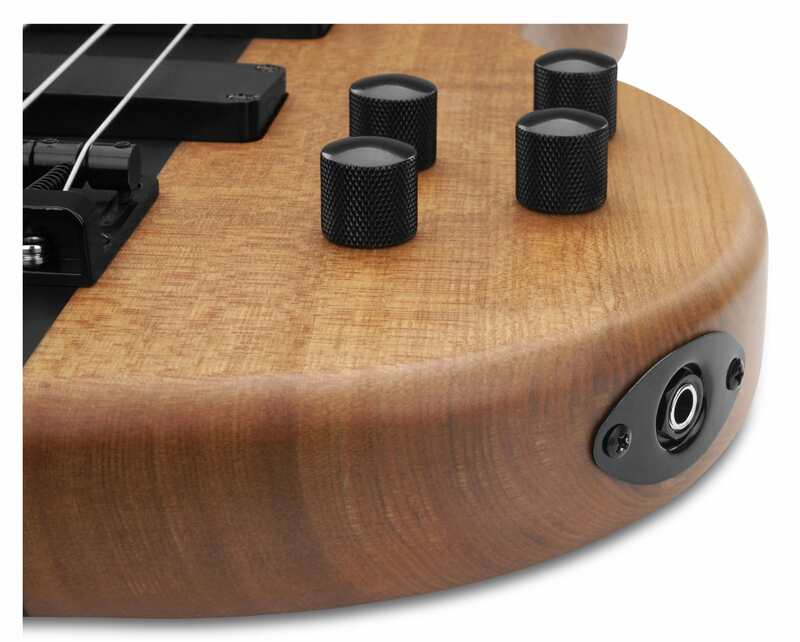 Thus, the N-LB104 covers the entire sound spectrum of rich deep growl to sharp crisp highs. It's noot only the sound, the aspect also plays a role! 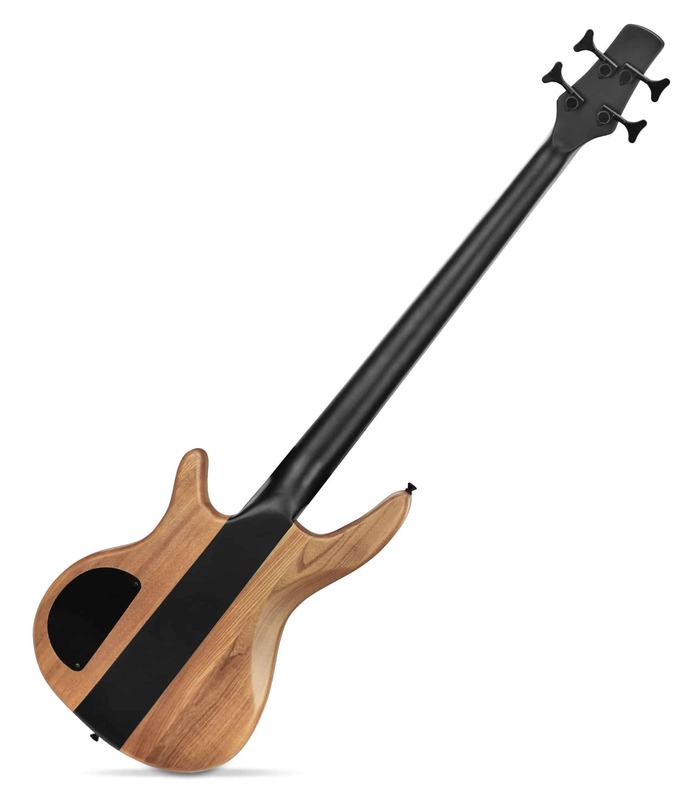 Who wants to play an ugly instrument on stage? Exactly, no one! 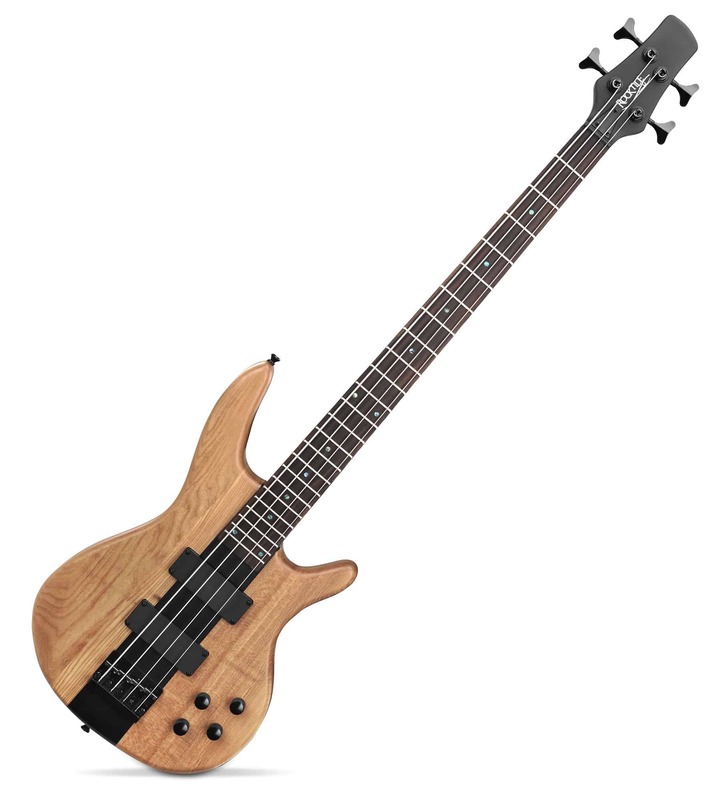 Therefore, the N-LB104 is made of high quality wood and it's provided with protective clear coat finish. 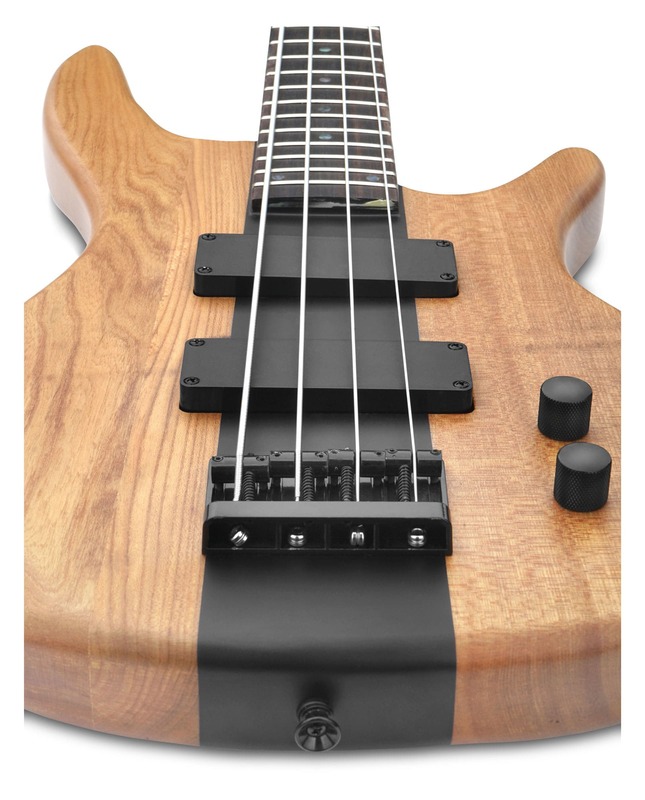 The dark painted neck gives the instrument additional accents and the pearlescent fingerboard inlays are discreet. So you'll have all eyes on you at concerts!